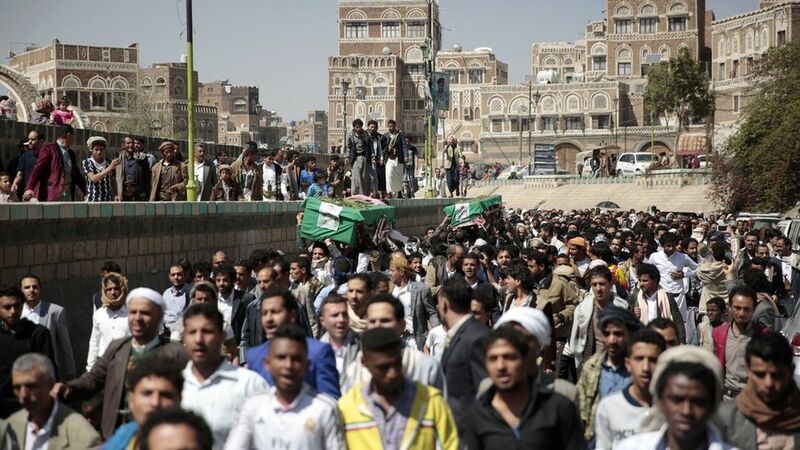 Yemen's foreign minister Abdul-Malik al-Mekhlafi said that the country has asked for a "reassessment" of the U.S. raid last month that killed several women and children, per AP. He also denied reports that his government has demanded a halt on U.S. special operations. "Yemen continues to cooperate with the U.S. and continues to abide by all the agreements," said al-Mekhlafi. He added that the government "is involved in talks with the U.S. administration on the latest raid." The Jan. 28 raid against al-Qaida militants killed many Yemeni civilians, as well as a U.S. Navy SEAL. 6 U.S. soldiers were injured. Spicer's take: Trump's White House Press Secretary said in his briefing yesterday: "The raid that was conducted in Yemen was an intelligence-gathering raid... It was highly successful. It achieved the purpose it was going to get, save the loss of life that we suffered and the injuries that occurred."